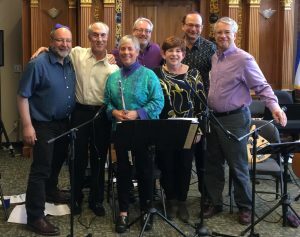 Congregational singing is accompanied by CBI’s group of talented musicians, known affectionately as “Bashert”, resulting in a spirited and uplifting musical Shabbat filled with joy, meaning, and ruach! Invite your unaffiliated friends and family to attend and consider joining the CBI family. They may want to inquire about our Sustaining Dues Model. $10 per adult; $25 maximum per family, no charge for children 12 & under. 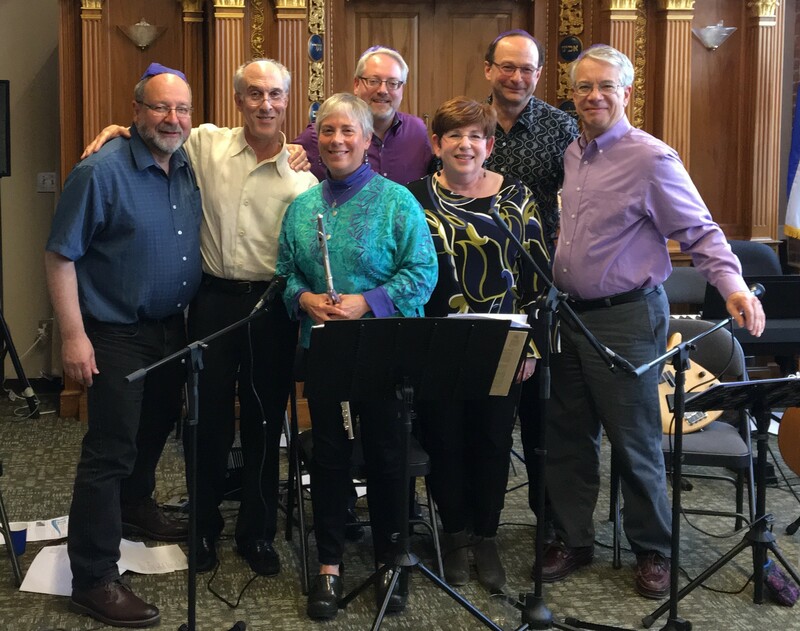 No charge if this is your first Shabbat Chai event! And, of course, no charge for attending the Service only. If someone in your party has a food allergy or dietary restriction, please notify us when making your reservation. “Praise God with trumpet calls, with harp & lyre.